The Erzberg Rodeo 2018 is underway. 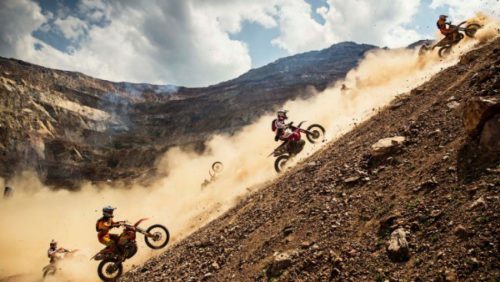 The Red Bull Hare Scramble is one of the most punishing Hard Enduro events in the world. It holds a special place in the hearts of fans and competitors alike, sometimes referred to as the ‘Woodstock Of Enduro’. It is held in an Iron Ore open pit mine in Styria, Austria. Each year it awakens to the roar of over 1500 dirt bike engines. The Mitas Rocket Ride is a Hillclimb event that never fails to produce some carnage. The rider with the most wins is Poland’s Taddy Blazusiak with 5 consecutive wins between 2007 and 2011. There is no prize money! 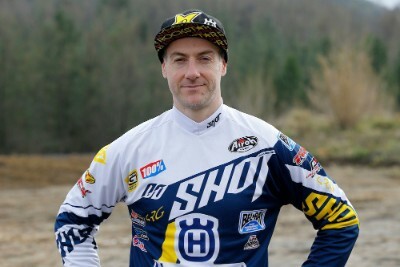 Three-time winner Graham Jarvis is the ‘Silent Assassin’. He frequently comes from behind to win. The UK born factory Husqvarna rider is a world class rider, and the undisputed ‘God Of Hard Enduro’. Poland’s Taddy Blazusiak is the only rider to have ever won Erzberg 5 times consecutively. He still has some unfinished business with the mountain. 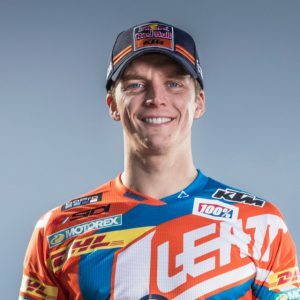 He retired in 2016 and is making a comeback this year again riding for the KTM factory team after signing a one year contract. He was plagued by injury last year so this year he is determined to win. 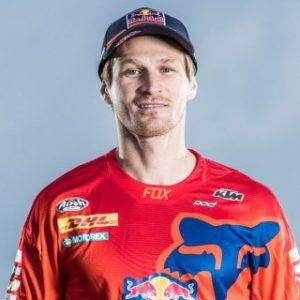 US born Cody Webb was a podium finisher in the last two years finishing second in 2016 and third in 2017. Like most of the top Hard Enduro riders, he comes from a Trials background. 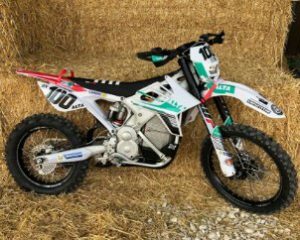 UK born Lyndon Poskitt will be the first rider to compete in the Erzberg Rodeo on an electric bike, the Alta. He has a huge social media and YouTube following. 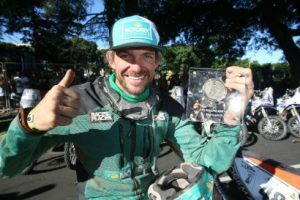 He entered his first Dakar Rally in 2013 finishing 46th overall, even managing a top 10 place in one of the stages. Lyndon had his two Alta electric bikes stolen out of his van on the M11, along with most of his gear en route to Erzberg. Alta Motors has provided replacement bikes, but he has been put at a huge disadvantage. This is something no competitor should have to go through. Here’s hoping Police can recover the bikes. The Results are in. Graham Jarvis Wins! 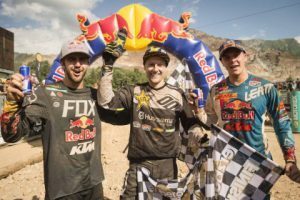 Graham Jarvis took his fourth Red Bull Hare Scramble victory. In typical style, he came from behind after a bad start to take the lead in the final stages. Jonny Walker chased him into second spot. Five-time winner Taddy Blazusiak was leading in the early stages of the race but lost time having to stop to replace a header pipe. Manuel Lettenbichler from Germany led for most of the race but ended up in third place. 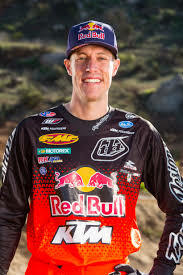 Cody Webb took a spill in his Prologue and broke his foot, a finger and damaged his knee. He still got back on and finished the Prologue, but didn’t compete in the main event. Lindon Poskitt withdrew from Sunday’s Hare Scramble to allow his Alta teammate Ty Tremaine to compete, who managed a top 20 position on the electric bike. Have you ever been to Erzberg to experience all the excitement? It must surely be on any dirt bike rider’s Bucket List – if only to watch the carnage!